Grab your sweetheart or bestie for a FREE partner yoga class to celebrate Valentine’s Day! Held on February 15th from 7pm-8pm at the dreamy Confluence Park, this is a unique (and inexpensive!) way to share a special moment and perfect for partner yoga newbies—no experience necessary, just a willingness to get close. In V-Day tradition, there will be a bit of wine, chocolate and a chance to win two t-shirts as a gift for you and your partner! There’s limited space for the class, please register with kristen@yogadayus.com. 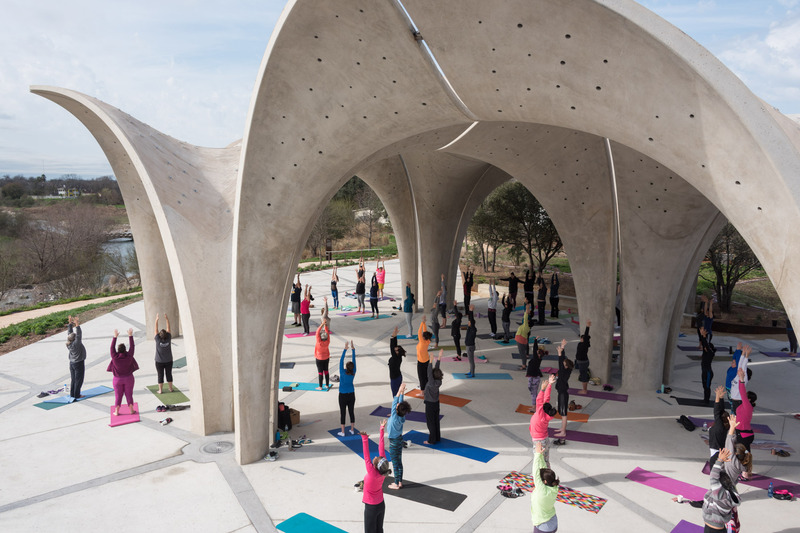 Partner Yoga for Sweethearts & Besties is sponsored by Yoga Day and the San Antonio River Foundation and is led by Ben Brandvig and Leilani Long.